"Businesses make an average of $2 in revenue for every $1 they spend on AdWords." Google Economic Impact Report. Google Ads vs Google AdWords - Google recently rebranded its lineup of ad products on July 26th, 2018. What was formerly known as AdWords is now Google Ads. It's more than a name change, Google is also launching something called Smart Campaigns which uses machine learning to optimize your ads for better performance. These lead to repeat business from new agents! 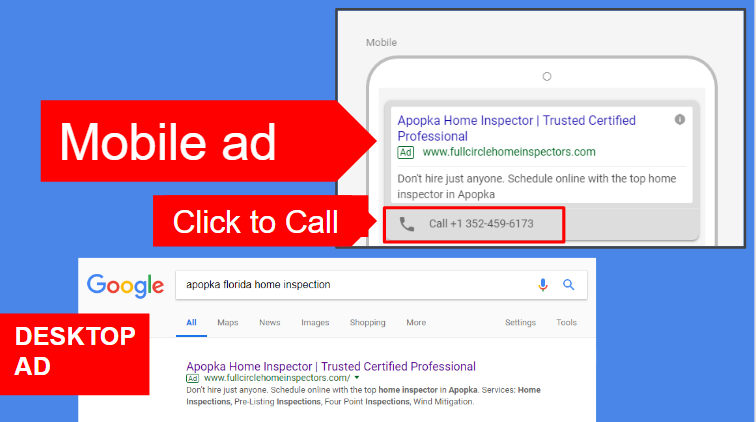 The following case study shows how one home inspector in Apopka, Florida grew his business from a Google Ads campaign on a $10/day budget. Both mobile and desktop ads were set up in this campaign. Notice the mobile ad has a "click to call" feature. Multiple versions of ads were created and monitored. Ads were optimized after the campaign had been running long enough to show results. Ads with poor performance were removed and ads with good performance were duplicated and further targeted. 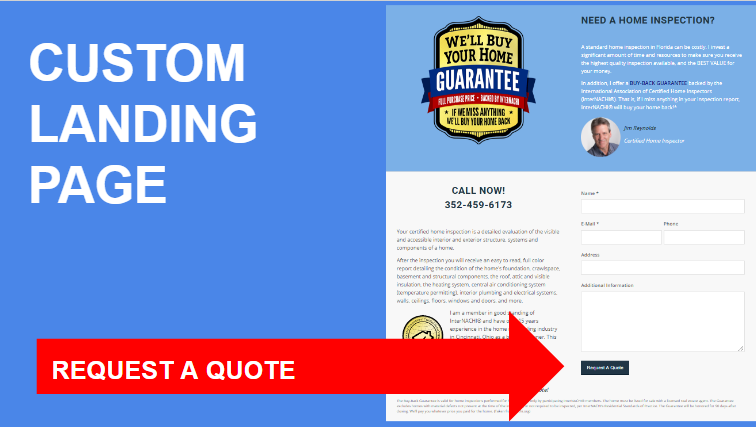 A custom landing page was created for the campaign with a strong call to action. 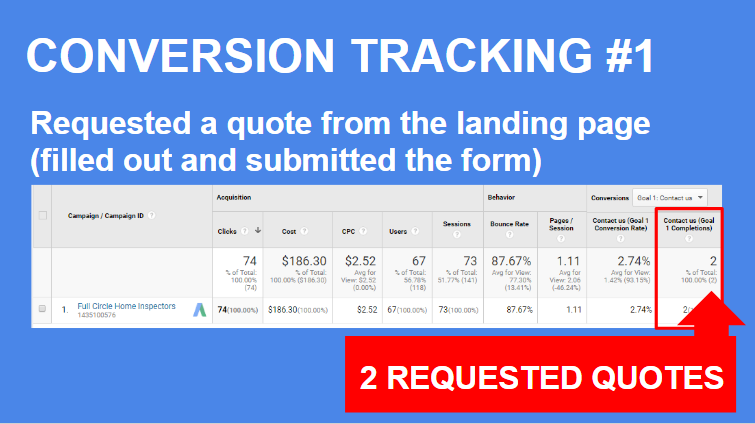 The goal of the landing page is to optimize conversions. 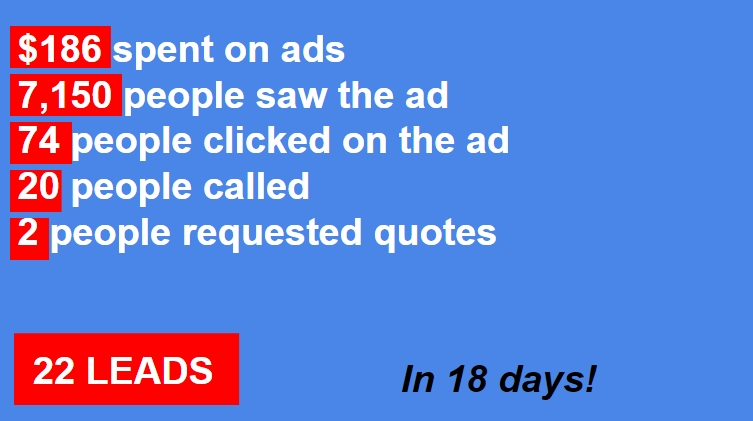 Over the course of 18 days, the ads were clicked 74 times at a cost of $2.52 per click. 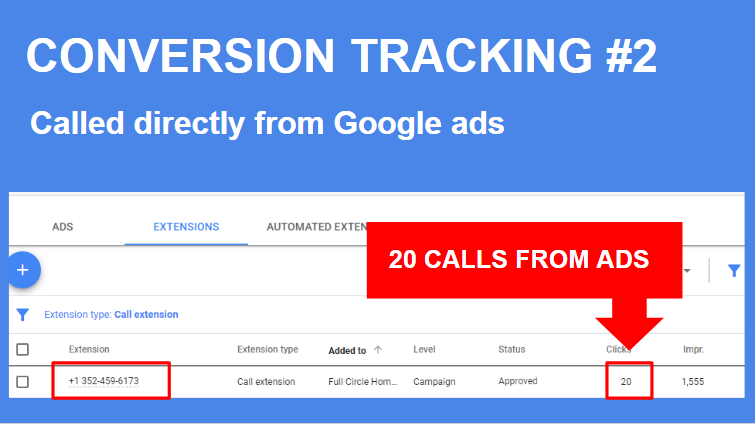 With our conversion tracking set up, we were able to see that there were 2 contact form submissions from the landing page and 20 calls directly from mobile ads. 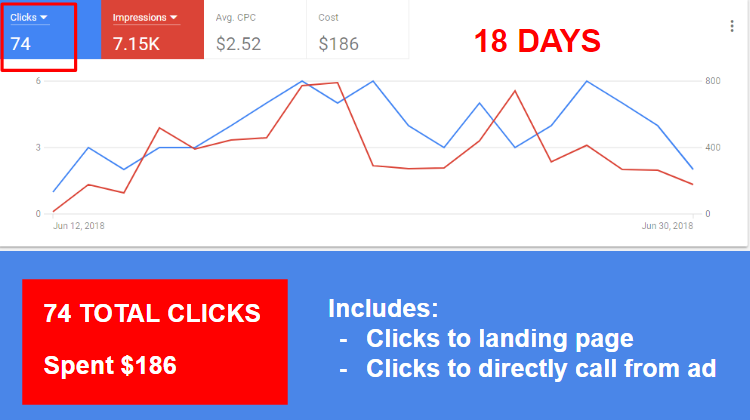 After 18 days, our inspector received 22 leads at a budget of $10/day. This resulted in 3 booked inspections and 2 future buyers. 3 booked inspections at the inspector's average price of $340 = $1020 return on $186 spent. This also doesn't include the benefit from agents met that can lead to future referrals.